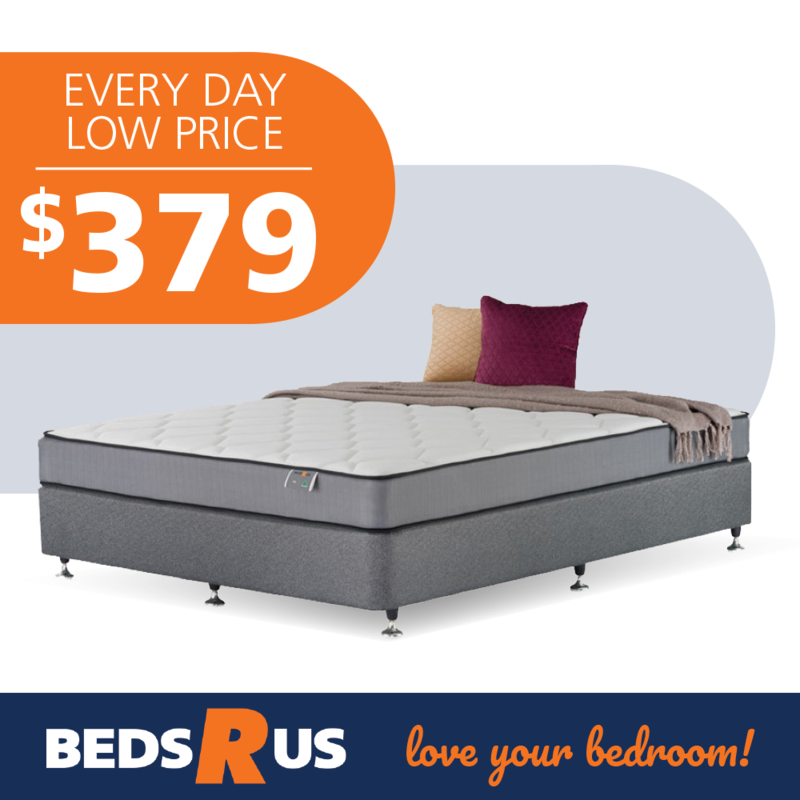 A queen-size mattress, featuring a duracoil spring system, medium foam and double-sides for the hot price of $379.00. This Everyday Low Price DS range is perfect as a low price sleep solution or for your spare bed. 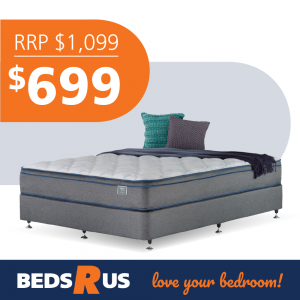 Medium density unique foam structure with a firm feel provides extra support and luxurious comfort. For queen-size mattress only. Offer valid with mention of this ad or presentation of voucher from this website. Participating stores only. Limited time offer. Full terms and conditions in store. 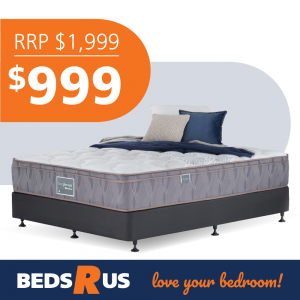 At Beds R Us, we pride ourselves on providing friendly, professional and expert service. Our bedding experts are committed to helping you buy the right bed, a purchase that will affect your sleeping habits for years to come. Queen-size Classic DS mattress. 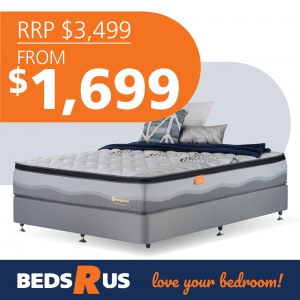 Offer valid with mention of this ad or the presentation of the voucher produced by ShopTas.